In his exclusive column this month, Philip Law reviews the promises, proposals and practicalities of the Chancellor’s Budget statement in relation to plastics and recycling, as well as highlighting upcoming events and a ‘golden’ former member of the BPF. October 29th provided a significant landmark in the political discussion on ‘single-use’ plastics. On Budget Day, the Chancellor, towards the end of his speech announced that for the moment there is to be no ‘latte tax’. But he did signal a tax on plastics packaging which would be applied if the recycled material content of a pack falls below 30 per cent. The date for introduction will be 2022. He promised that monies raised will be dedicated to the improvement of our waste management infrastructure. He also promised £10 million in additional R&D funding to help industry innovate its way towards the target. All this is to be subject to a Consultation, which will also run alongside one on PRN reform. BPF will be inputting substantially to these key Consultations. We aim to play our part increasing the level of packaging recycling and minimising used products lost to the marine environment. But we do have major concerns about the practicality of the proposals. We have a major shortfall in recycling capacity and an upswing in demand for recyclate simply could not be supplied from the UK. It would have to be imported. Investment in recycling capacity needs to start now. Also, the implementation date of 2022 is at odds with the WRAP Plastics Pact target date, broadly for the same objective, of 2025. Government needs to engage in a much greater depth of consultation with industry to understand the likely business dynamics in this plastics packaging recycling world. 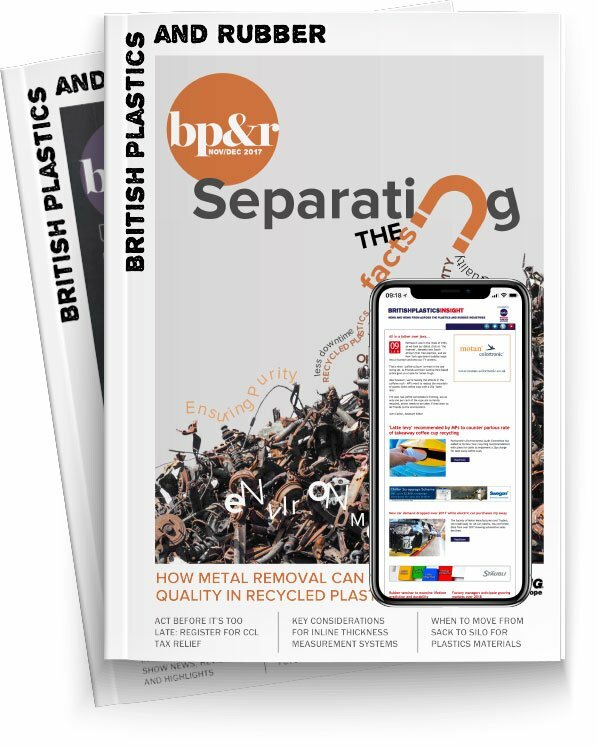 Additionally, BPF is currently feeding into a Consultation on a proposal to ban straws, stirrers etc. The potential impact of such a ban on the volume of waste arising illustrates that the motivation is as much political as environmental. This goes, of course, for Government actions at EU level as well as in the different Member States. A very successful and upbeat meeting of the BPF’s Business Groups and Central Expert Committee Chairmen’s meeting, held 1st November, illustrated the resilience of this industry in these trying times and its determination to see through the ups and downs of ‘public opinion’ and carry on with the job of saving energy, minimising food waste, protecting health and making a serious contribution to environmental improvements. Finally, at our recent Annual Dinner we were delighted to Award a BPF Gold Medal for his contribution to Paul Jukes, a former President and Honorary Treasurer of the BPF. Paul had been a very diligent steward of the members’ money and was Treasurer for five years. He was a member of the BPF’s Council for sixteen years. I haven’t checked in our archive, but I think it may well be a record in the 85 years’ history of the BPF.